Top Myths Around Demand Sensing - E2open | Demand. Supply. Delivered. Demand sensing technology has been around for more than 15 years, yet there are still many myths around just what it is, what it does and the prerequisites to use it. 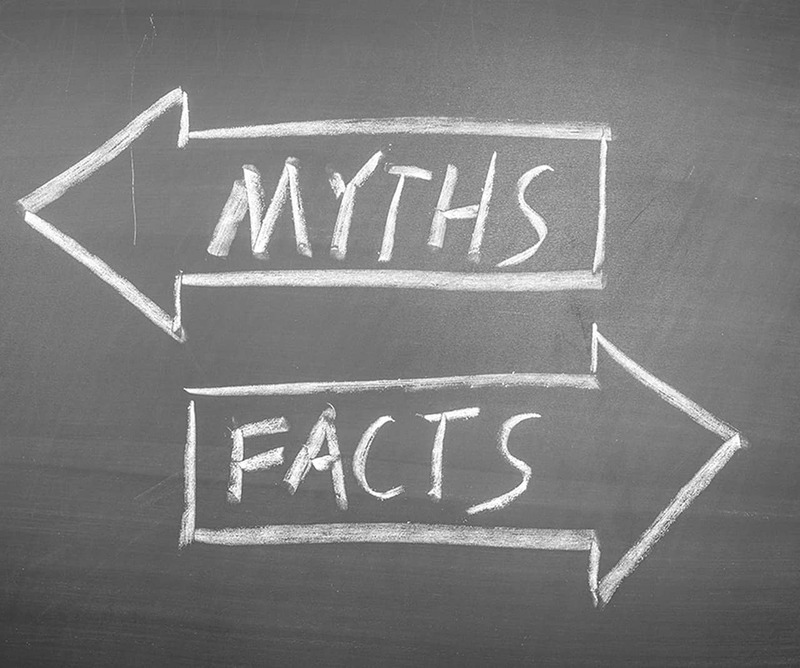 With that in mind, the aim of this blog is to confirm or dispel these myths and set the record straight. This is one of the most common misperceptions. All you need to start sensing demand are three inputs – your demand planning forecast, orders, and shipments.Conveniently, these all reside in your internal systems. More than three-quarters of demand sensing implementations use just use these three internal signals and on average they achieve a 40% reduction in forecast error. Of course, demand sensing can also use customer data, such as point of sale, store inventory or warehouse withdrawals. Feeding downstream data to the demand sensing engine further increases forecasts accuracy and is a best practice for building a demand-driven supply chain. How it works: The underlying mathematics of demand sensing is different than traditional forecasting. It uses automated pattern recognition algorithms to sort through masses of real-time data and determine the influence factor for each signal in predicting customer orders. It turns out that what is predictive in one business can be different than another. For example, the movement of products through distribution centers tends to be more important for high-volume goods like diapers than it is for cosmetics. Influence factors also change for different time horizons, with orders playing a larger role in week 1 than they do in week 4. The perception of forecast accuracy – and the value of improving it – often depends on where you sit in an organization. Higher aggregation makes it easier to forecast demand. When executives use forecasts to manage corporate performance, figures are typically rolled up to the quarterly-national-business unit level. Accuracy at this level is often greater than 90%, so the perceived benefit of investing to improve forecast performance is low. This same forecast at the more granular weekly-item-location level is below 50%. In supply chain, accuracy matters, especially for fulfillment activities that rely on these weekly-item-location demand predictions. So while everything might look good for the C-levels, the sub-50% accuracy for supply chain decisions results in excess or insufficient inventory, impacting return on capital, eroding margins and putting service at risk. Companies with manufacturing schedules of 2-3 weeks often wonder, “Why bother forecasting anything within the frozen period, let alone daily since I can’t use it?” The simple answer is that daily forecasts help with all supply decisions – not just production scheduling. Each day, demand sensing publishes projected shipments for tomorrow, the next day and up to 56 days in the future, for every item at every location. This ensures that you have the most accurate picture of demand each time you make a supply decision regardless of the lead time – whether it is an immediate activity like replenishment (3-day), a mid-term activity like ordering ingredients or components (16-day), or procuring longer-lead items like for packaging (45-day) . No myth there, just a common misunderstanding. Of course you don’t have time! It’s impossible for planners to review daily forecasts for every item at every location every day. This would take an army of planners. The beauty of demand sensing is that it is fully automated. The engine analyzes all of your demand signals, with self-tuning algorithms determining influence factors for each item, at each location, every day for the next 56 days. Daily forecasts are then automatically published to DRP. We hear this one a lot. To be clear, just because you now have daily forecasts, it does not mean you need to re-plan every day! Most companies keep the same supply planning cadence, but now each time they go to make a supply decision, they start with the best possible information. Think of demand sensing as providing a new level of granularity and accuracy to your forecasts, and this extra fidelity allowing you to make better quality decisions. For companies that are on a journey towards continuous planning – where planning and execution begin to converge – daily forecasts are an important enabler. It’s not uncommon for promotions to drive 30% of a manufacturer’s business. Companies spend a lot of time, energy and money running events so it is important to properly support them. The problem with forecasting promotions is that it’s hard to predict their performance with traditional demand planning. Why? Traditional planning systems rely on history to predict future performance, whereas promotions are, by nature, designed to ensure that history does not repeat itself. What can help are algorithms that automatically sense how promotions are performing in real-time. This way event items that outperform expectations can be quickly replenished to ensure on-shelf availability and maximize the return on promotional investments. On the flipside, it also prevents you from getting stuck with too much inventory from underperforming promotions – this is especially important for event-specific items that are hard to repurpose or are perishable. This one is partially true. While demand sensing itself is a short-term forecasting solution, the pattern recognition, machine learning and automation techniques have also been applied to long-term forecasting. Long-term demand sensing augments or replaces existing planning suites such as APO DP. For example, Procter & Gamble uses Long-term Demand Sensing to automate all its statistical forecasting. In addition to a 10-15% increase in accuracy, P&G improved productivity by freeing planners from low-value model-tuning and allowing them to focus on strategic activities. The combination of short-term and long-term demand sensing techniques provides the best possible forecast for any time horizon. We routinely hear this question from practitioners pursuing best practices in forecasting and it seems many companies deliberate over which lead time to choose when making supply decisions. Traditional wisdom is that a week 4 lag is the most appropriate for a 21-day frozen schedule, since that is the week being scheduled. However, results from our forecast benchmark study show that there is little difference in lagged error across different weeks, so it really doesn’t matter what lag is used. More importantly, it turns out the lag question is a red herring for a fundamental reason – the correct metric when making a quality supply chain decision is to measure the actual error over the lead time instead of lagged error. Why? Because most supply chain decisions are based on projected inventory (i.e., current inventory – projected demand + replenishments & production). The quality of these decisions depends on the accuracy of projected inventory, which in turn depends on the quality of the projected demand over the lead time in question. Let’s go back to the decision on how much product to build knowing we have a 3-week frozen schedule. What happens tomorrow and every day for the next 21 days impacts the projected inventory 3 weeks from now and the quality of my decision on how much to build. The conventional approach of using Lag 4 error does not measure this – it is disconnected from what happens over the next 21 days. The only way to properly measure this is to calculate the error over the next 21 days using daily forecasts for each of these days. Why do people still use lag error? It’s an artifact of how demand planning systems were developed years ago when forecasts were limited to monthly or weekly granularity. Systems worked in buckets of time (e.g., a week) so error could only be measured by lag. While this approach had flaws, it was the best available at the time. Now that demand sensing produces forecasts with daily granularity, supply chain professionals have the opportunity to rethink the way they make any supply decision driven by projected inventory. Point in case, all companies using E2open Demand Sensing have shifted from using lagged error to measuring error over lead time because it results in better supply decisions. If you are interested in learning more about this, drop us a line. Hopefully you find this blog post helpful in debunking some common myths around demand sensing. As you have no doubt surmised, we are passionate about demand sensing at E2open – we invented it in 2004 and have been innovating ever since. If you have any questions, we would love to hear from you.